It is five years since the Union of European Football Associations (UEFA) formally introduced ‘Financial Fair Play’ (FFP) into European football through its Club Licensing and Financial Fair Play Regulations, Edition 2012. With FFP having now been in place for a number of years, we are in a position to analyse its effect, its legality, and how the rules have altered over the last half decade in response to legal challenges and changing policy priorities. This article is split into three parts: The first will look at the background, context and law applicable to FFP; Part Two will look at the legal challenges FFP has faced; and Part Three will look at how FFP has iteratively changed, considering its normative impact, and the future of the rules. Certain aspects of FFP were incredibly controversial from the outset. To a neutral observer, this might seem confusing: FFP is, ostensibly, a set of rules designed to make sure clubs pay their bills on time, stay solvent, and do not need to look to external benefactors to cover their losses. Leading sports economist Stefan Szymanski described insolvency as “a chronic problem in the world of professional Association football”, so, superficially at least, a regulatory response to this would seem natural and appropriate. Where the market fails, it is the regulator’s duty to respond. UEFA’s President at the time, Michel Platini, said “You, we, the fans and football lovers, have no interest in seeing clubs, the real heritage of European football, disappear due to risky management”. This is a sentiment with which most fans would agree. Accordingly, UEFA incorporated FFP into its existing licensing requirements, meaning any club that wished to compete in a UEFA competition would be required to meet the financial standards set by FFP. These standards would be overseen and enforced by a new body within UEFA’s administration called the ‘Club Financial Control Body’. The Club Financial Control Body would be further segregated into an Investigatory Chamber and an Adjudicatory Chamber. So, why the controversy? The contentious aspect of FFP was its ‘break even’ requirement. The ‘break even’ requirement is a de facto soft salary cap, tying the maximum amount a club can spend (with defined exceptions) to its revenue generation. An overview of the break even requirement as originally conceived can be found here. In essence, “The break-even result for a reporting period is calculated as relevant income less relevant expenses’’. “Income” includes receipts such as gate receipts, sponsorship, broadcasting rights, commercial activities and player sales; “expenses” includes wages, the cost of purchasing players and the cost of finance. Crucially, when FFP was first introduced, losses could not be met or offset by equity participants (i.e. owners). This was pertinent to the prevailing financial climate in football, in which certain clubs across Europe were spending unprecedented sums with the support of wealth benefactors, who would cover the clubs’ losses. Such spending was seen at clubs such as Chelsea, Manchester City, Paris Saint Germain, Monaco, Malaga and Anzhi Makhachkala, with mixed results on and off the pitch. Thus FFP was accused of calcifying football’s competitive hierarchy and foreclosing smaller clubs from sporting and consequent business success. This debate has been played out over the last five years in the academic literature and in various legal fora. The rules and the mechanisms for enforcing the rules have become increasingly sophisticated as the years have passed. UEFA, perhaps in response to these challenges, has made gradual, iterative changes to FFP that have seen the rules soften to accommodate exogenous equity input in defined permissible circumstances. These changes will be looked at in greater depth in Part Three. FFP has been described ‘legally fragile’, which is an apt description. This is because the rules cannot be said to be unquestionably permissible under European Union (EU) law; nor can they be said to be categorically in breach of EU law. The rules exist in a regulatory ‘grey’ area – FFP, in its particularly in its original, more restrictive, guise, may or may not have been illegal. This is a question for a competent (judicial) authority to decide; however, as will be discussed in more detail in Part Two, the route to such a decision has been far from straight forward, and in the intervening years, FFP has changed substantially. Does FFP breach EU competition law? Does FFP breach EU free movement law? 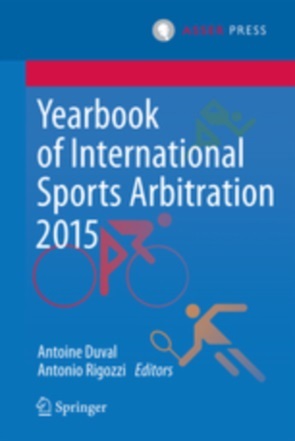 Is there a sanctuary for any breach of EU law under the doctrine of the specificity of sport? Article 101 of the Treaty of the Functioning of the European Union (TFEU) prohibits agreements that have as their object or effect “prevention, restriction or distortion of competition within the internal market”. This puts regulatory associations such as UEFA in a difficult position. It is the very nature of regulation that competition is restricted or distorted; indeed, it is the very purpose of regulatory rules that participants subject to those rules alter their behaviour accordingly, which has an inevitable consequence on the competitive landscape. Consideration should also be given to Article 102 TFEU, which prohibits undertakings (and in some circumstances collections of undertakings, i.e. oligopolies) that are in a dominant position from abusing their market dominance. In view of this friction, the European courts have developed, through the case of Wouters, the concept of regulatory ancillarity. This is the doctrine under which, subject to a test of proportionality, reasonability and necessity, even in circumstances where there is a prima facie breach of competition law by a regulatory body (in that particular case by the Dutch Bar Association), this may be permissible under EU competition law where the regulatory body in question “could reasonably have considered that that regulation, despite the effects restrictive of competition that are inherent in it, is necessary for the proper practice of the [relevant profession]”. Whether the effects of the rules are proportionate to the aims pursued. Should UEFA be unable to meet the test under the regulatory ancillarity doctrine, there is an alternative exemption with a lower threshold to which it could look. Within Article 101(3) TFEU, there is an exemption for agreements which promote “technical or economic progress, while allowing consumers a fair share of the resulting benefit” as long as such restrictions do not (a) impose on the undertakings concerned restrictions which are not indispensable to the attainment of these objectives; or (b) afford such undertakings the possibility of eliminating competition in respect of a substantial part of the products in question. It is open to UEFA to argue that FFP dampens inflation in football in a way that is for the improvement of the game and passes a benefit to ‘consumers’ (i.e. fans) by, for example, reducing the need for ticket price increases to sustain escalating players’ wages. This would perhaps be difficult for UEFA to establish, but the economics of FFP are complicated and second order effects should be borne in mind. The EU is built upon certain deeply enshrined freedoms. These include the free movement of workers (Article 45 TFEU), the free movement of services (Article 56 TFEU), and the free movement of capital. Any agreement that acts as an impediment to these freedoms is susceptible to a finding of illegality. In the case of sporting rules, the European courts have determined that the rule in question must not “go beyond what is necessary for achieving the aim pursued”, which is to reiterate that it must be proportionate – a recurrent theme in considering the legality of rules made by the governing bodies of sport, such as UEFA. The criteria to be met by UEFA in establishing that FFP does not breach EU fundamental freedoms is in line with the threshold to be met in establishing compliance with EU competition law: FFP must be necessary, suitable and proportionate. The restriction does not emanate from the rule per se, rather by the size of the club’s turnover; players are no more restricted from moving between clubs by FFP than this author is denied a Ferrari by his credit rating. In the event that a competent adjudicative authority makes a prima facie finding that FFP is in breach of EU competition law or EU free movement law, there is still a possibility of an overall finding that FFP is not illegal under the doctrine of the specificity of sport; however, this would require the adjudicative body in question to row back considerably from the current position, and general trajectory, of the level of latitude granted to the governing bodies of sport by the European courts. The concept of specificity will be familiar to all those with an interest in sports law and policy. It is the hypothesis under which, at its starkest interpretation, suggests governing bodies, not courts (or governments or other legislative bodies), are best placed to determine how sport should be run. Sports, it is argued, should have rule making autonomy. A more moderate view on specificity holds that due regard should be paid to the idiosyncrasies of the sports sector and the legitimate governance function played by governing bodies. The role of sports governing bodies, whose rules, as was the case with FFP, are often enacted in a broadly consensual way, with engagement, input and consent from key stakeholders, should be acknowledged and some due reverence should be paid to governing bodies' ability to regulate the sporting aspects under their aegis. However, the distinction between elite football as being ‘purely sport’ and elite football as a business has become blurred in to the point of being indistinguishable; and the EU clearly has express competence to deal with business. The general trend in decisions of the European courts has been to circumscribe self-determination by the governing bodies of sport. Through cases such as Bosman, Meca-Medina, and Bernard, the European courts have made it clear that sport cannot avoid or cherry-pick the applicability of EU law. This is acutely relevant in the case of FFP, which, after all, deals with how football clubs are run financially. There are obvious sporting consequences to this, but it is difficult to characterise FFP as anything other than a rule restrictive of the business of sport. UEFA’s position on Article 165 is that “while sport is not ‘above the law’, there is now a provision in the Treaty itself recognising that sport cannot simply be treated as another ‘business’, without reference to its specific characteristics”. This is not an unreasonable position; sport is a unique industry in which, unlike other industries, the survival of competitors is important for any given club to flourish. Perhaps the courts could be persuaded that a carve-out based on specificity should be applicable to FFP – but this would require a seismic change of direction. So it is incredibly unlikely that specificity as a discrete sui generis doctrine would give sanctuary to FFP were the rules deemed to be otherwise in breach of EU law. However, facts peculiar to the football industry (i.e. its specificity) should be considered as part of an assessment as to whether FFP is a proportionate mechanism to pursue UEFA’s objectives. As noted above, proportionality is a limb of the tests for derogations to EU competition and fundamental freedom law. For football clubs, there is a strong correlational link between spending money and playing success. This has encouraged clubs to risk financial vulnerability in pursuit of improved match results, despite the mathematical impossibility of all clubs being able to improve their fortunes on the field. This innate instability has resulted in persistent insolvencies despite the remarkable growth in turnover seen in the professional game. Regrettably, when balance sheets weaken, the risk of insolvency increases; and once a club becomes insolvent, its survival is subject to the predilections of its creditors. The game’s governing bodies should aim to militate against…this volatility. UEFA would doubtless argue that, given the specific nature of the industry it regulates, instituting a soft salary cap such as that implemented by FFP is a proportionate response. In that sense at least, the specificity of sport might be of consideration in the legality of FFP. It is difficult to say with any degree of conclusiveness whether FFP is legal or not. There are strong arguments either way. The marginal nature of the legal position has been problematic for UEFA and has undoubtedly led to the legal challenges to FFP over the last five years, which are discussed in greater depth in Part Two of this series. The uncertain legal position, and the challenges generated by that lack of clarity has also, in all likelihood, shaped UEFA’s policy decisions as FFP has evolved in the years since its inception. These are discussed in Part Three of this series. FFP has certainly been fertile ground for debate, and will likely continue to be so until such a time as there has been a determinative, binding view of its legality. When or whether this will happen remains to be seen. Annex X, Club Licensing and Financial Fair Play Regulations, Edition 2012. 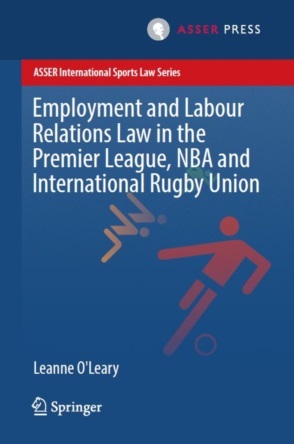 Flanagan, C (2013) A tricky European fixture: an assessment of UEFA’s Financial Fair Play regulations and their compatibility with EU law, International Sports Law Journal 13(1). Case C-415/93 Union Royale Belge des Socie ́te ́s de Football Association ASBL v Jean-Marc Bosman (1995) ECR I-4921. C-325/08 Olympique Lyonnais v Olivier Bernard and Newcastle United FC (2010) ECLI:EU:C:2010:143.